A new distributor opened in the neighborhood and allows for the purchase of split six packs. As I perused the aisles, I was drawn to other offerings from Merchant du Vin. Always a fan of their Samuel Smith’s, I thought I would give the Lindemans Lambics a try. 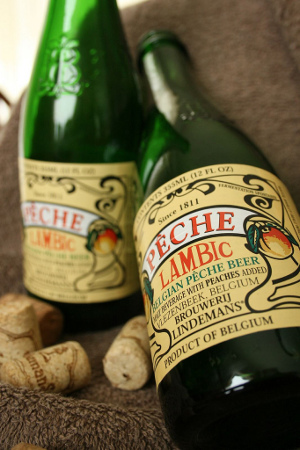 Merchant du Vin introduced Lindemans lambics to the United States in 1979, making them the first lambics marketed in U. S. history. To this day, they are the best selling brand in the category. #1 – The Peche was quite tasty. Would make a lovely after dinner drink. #2 – Canada Dry makes a Black Cherry Wishniak??? I thought that was exclusively a Frank’s beverage. “Is it Frank’s? Thanks!” I now feel even more ancient.